The short rains usually begin this month, bringing fresh green grass to the plains. November is one of the rainiest months of the year, receiving an average of 17 days of rain in the month. There may still be some animals crossing the Mara River in the Northern Serengeti at the start of the month. 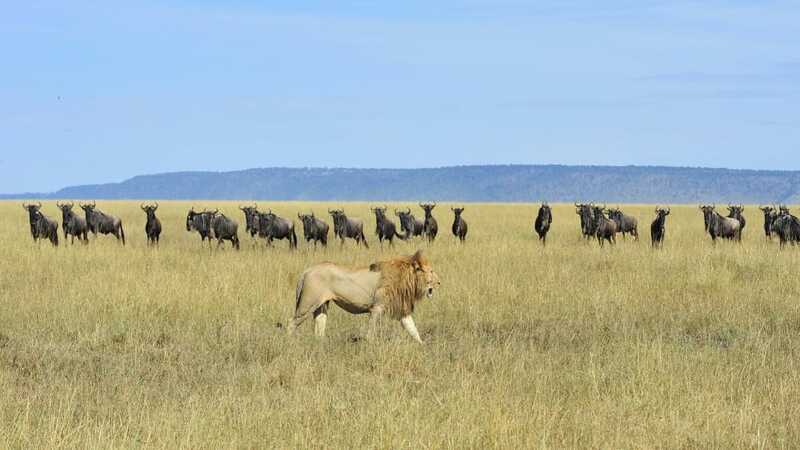 However, to see the big herd movements, stay in the Seronera Valley in the Central Serengeti, where the animals are on the move en masse towards the fresh grass in the south of the park. While November is a rainy month, it usually only rains in the afternoons, so you will still have superb game viewing opportunities. It’s a quieter month, so some lodges offer low season rates. November is a great time to travel to the Serengeti if you want to see the full spectacle of the Great Migration herds on the move.